Please note that the content of this book primarily consists of articles available from Wikipedia or other free sources online. 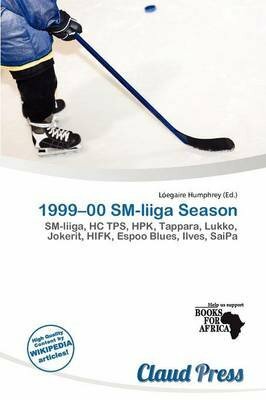 The 1999-2000 SM-liiga season was the 25th season of the SM-liiga, the top level of ice hockey in Finland. 12 teams participated in the league, and TPS Turku won the championship. The SM-liiga is the top professional ice hockey league in Finland. As of March 2008, it is ranked by the IIHF as the second strongest league in Europe. It was created in 1975 to replace the SM-sarja, which was fundamentally an amateur league.